Whether you are a small business looking for a low cost fax and voice messaging solution, or just looking for a powerful answering machine, FaxTalk Messenger Pro provides the features you need to manage one to hundreds of voice mailboxes. Improve efficiency and productivity without spending a fortune for Windows fax software. 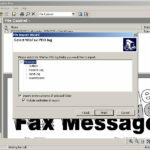 FaxTalk Messenger Pro eliminates the need of your traditional fax machine or expensive internet fax service. 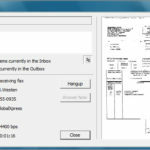 Send and receive faxes directly from your computer. 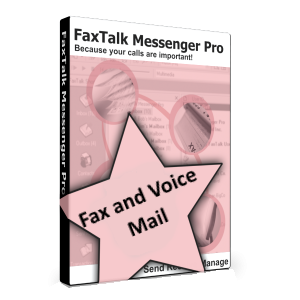 FaxTalk Messenger Pro provides you a centralized location to store and manage your faxes and voice mails on your local machine. You can listen to voice mail, send faxes, receive faxes, view faxes on screen, print, annotate, organize, manage contacts and phone books and much more. Send and receive unlimited faxes. Optional FaxTalk Merge Add-In for Microsoft Word. 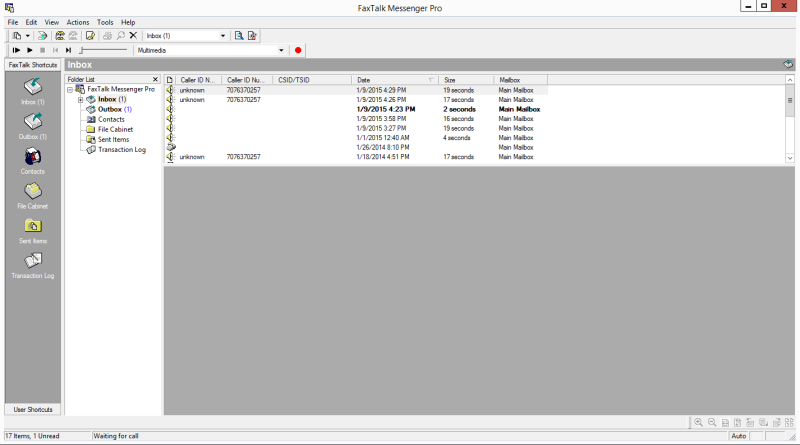 How does FaxTalk Messenger Pro work? A fax modem is a device that plugs to into your computer and connects to your existing telephone line. You can bundle an easy to install plug and play USB fax modem with any FaxTalk software purchase or use your existing fax modem. You can use a traditional standard land-line service, digital cable telephone service, or internet based VoIP telephone line such as Vonage, Ooma, netTalk, BasicTalk etc. 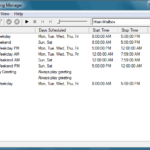 FaxTalk Messenger Pro is loaded with advanced features. You can set FaxTalk to automatically answer calls or route calls based on your distinctive ring service. An install wizard helps you though setting up the basic features with ease. 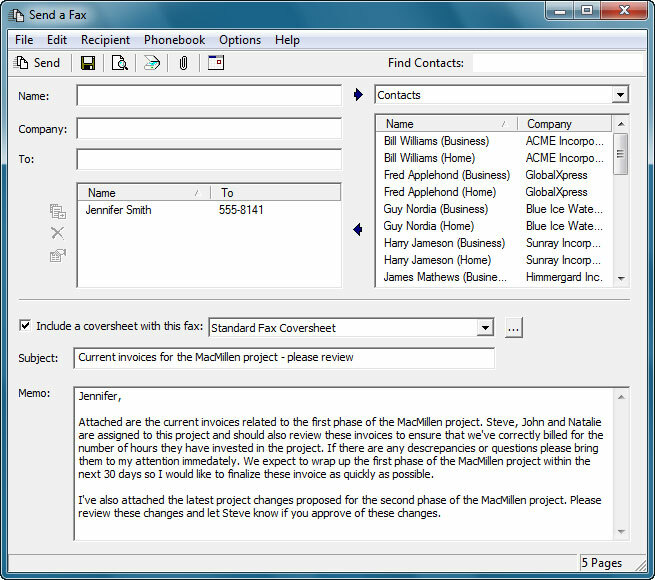 You can also configure FaxTalk with many additional options such as e-mail forwarding, distinctive ring, automatic printing, notifications etc. FaxTalk Messenger Pro does not send faxes using the internet. No internet connection required. Faxes are sent and received directly from your desktop. There are no internet fax service fees, no per page fees or fax page limits. With FaxTalk Messenger Pro you can..
Use your existing land-line telephone or VoIP land-line, no need to change or transfer your fax number. 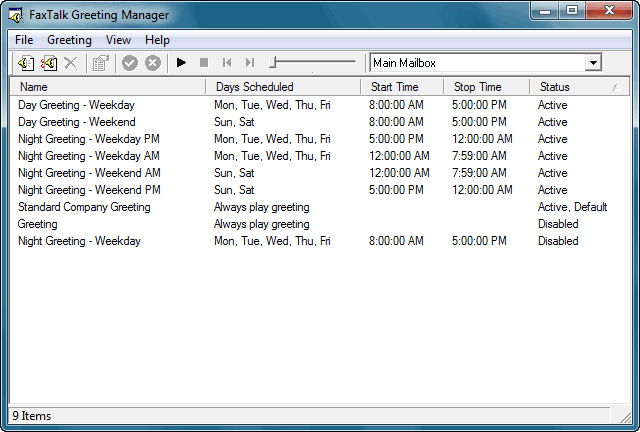 FaxTalk Messenger Pro keeps a transaction log of incoming voice mail/faxes and outgoing faxes. Import your existing WinFax PRO or TalkWorks PRO phone books directly to FaxTalk Messenger Pro. 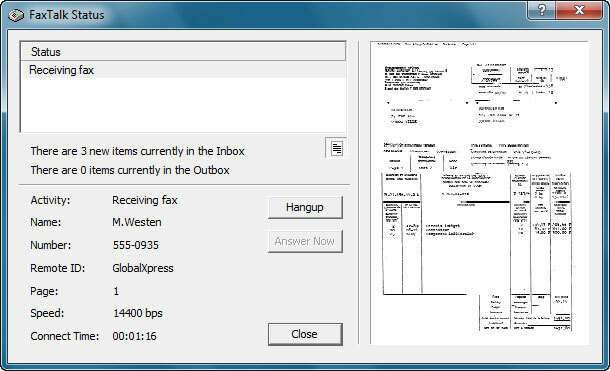 Sending a fax from FaxTalk Messenger Pro is quick and easy. 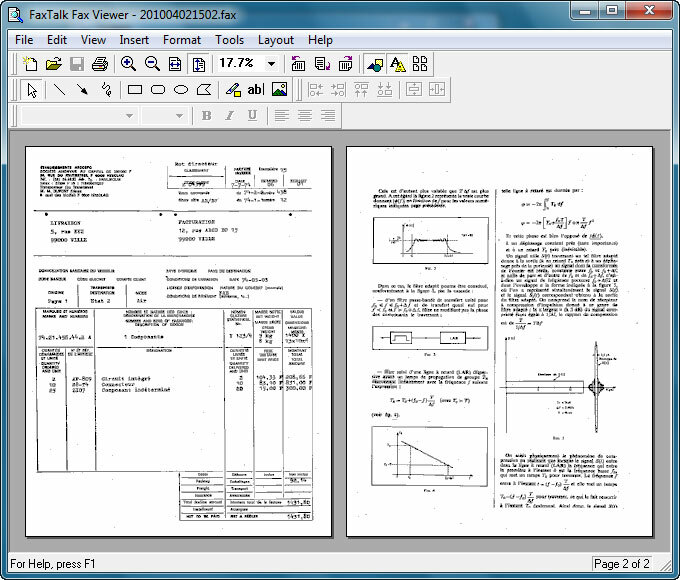 FaxTalk works with any Microsoft Windows compatible desktop application that has a “print” function. Produce professional looking faxes by simply printing your documents to the FaxTalk virtual fax printer. To help avoid junk or spam faxes, FaxTalk Messenger Pro includes a junk fax filtering feature that can block the reception of faxes from unwanted recipients. 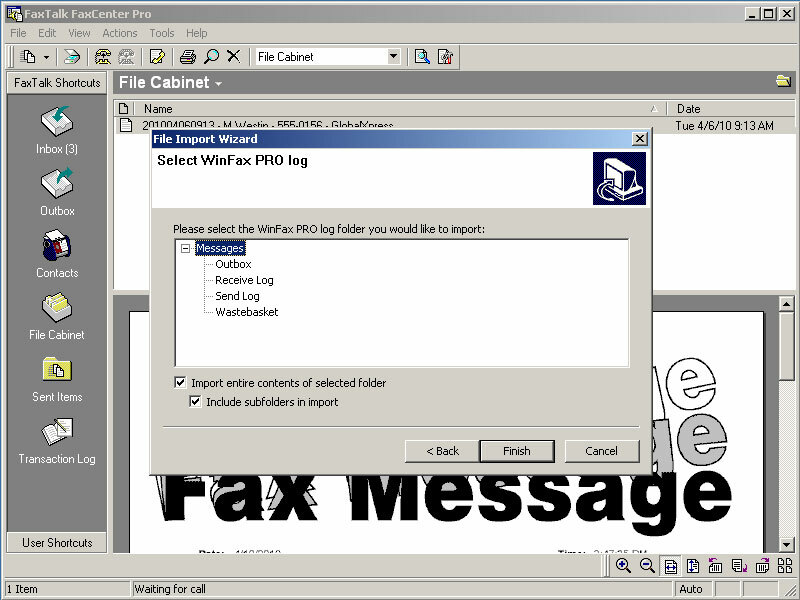 FaxTalk Messenger Pro can be configured on a workstation as a fax client to submit and receive faxes over your local network when FaxTalk Multiline Server is installed. Fax enable additional workstations without requiring additional fax modems and telephone lines. 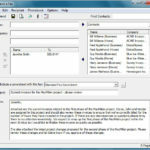 When used with optional add-on software you can enhance the functionality of the FaxTalk software. 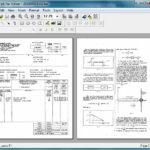 Fax directly from Sage ACT! 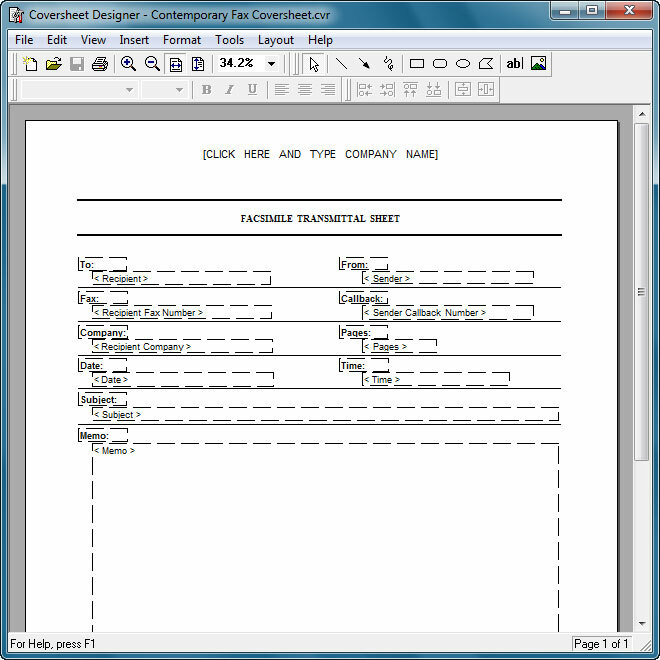 (version 2011 or higher) with FaxAdmin software, or use the mail merge capabilities of Microsoft Word with the FaxTalk Fax Merge Add-on. 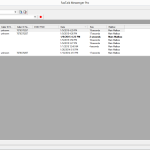 FaxTalk Messenger Pro is compatible with most standard USB, internal, external and multi-line fax/voice modems that are Class 1, Class 2 or Class 2.1 compliant. If your switching from WinFax PRO or other fax software, your fax modem may also work with FaxTalk. Contact us for more details. FaxTalk Messenger Pro is compatible with Distinctive Ring and Caller ID services from your telephone company. Route calls based on ring type patterns and also log Caller ID information. Compatible fax modem and telephone service required. Your purchased software is distributed as a digital download. Optional backup CD ROM delivery for FaxTalk Messenger Pro is also available.